So you are looking to find out how you can actually breathe a life into a mobile app and make it a rage and highly saleable in the market. 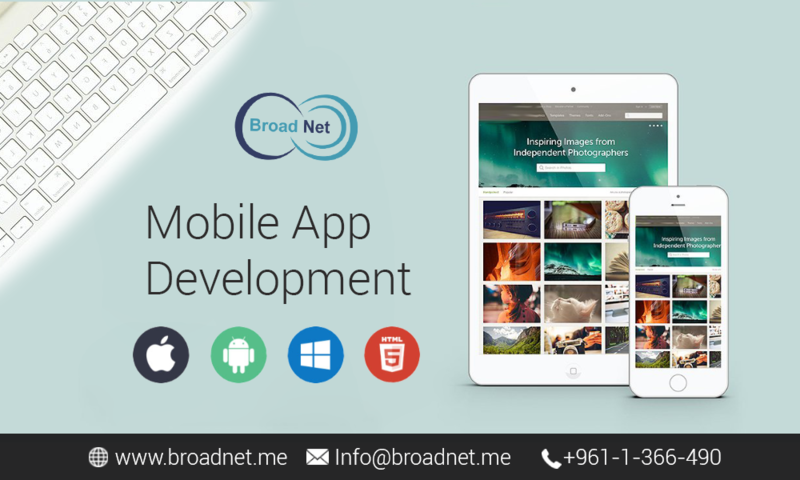 In this blog, we at BroadNet Technologies are going to discuss the procedure, app enterprisers typically follow when it comes to hiring a mobile app development agency to develop their mobile app and release it into the market for its sale. On what platform are they looking to get the app developed? Will it be a static app or will it have new content incorporated on a day-to-day basis? What will be the features of the app? Will it link to Twitter, Facebook and other social media assets? Does it have a need of 3D animations or connections to backend databases? One of the key factors to factor in is the level of budget. As you might be aware of, the more complex an app is, the more it will cost to build. However, apps offering more practicality also have the potential to offer maximum returns. The budget to develop an app varies according to the needs of the clients and the features they want to add into the app. To tell you honestly like how we carry out the procedure of Mobile Application Development for our clients is that every time a client approaches us for the service, we first introduce him to our account manager. 1. The initial step that we typically take is to exchange a Nondisclosure Agreement in mutual, with the view to defending the client’s initiative. After all, we at BroadNet Technologies are well aware how significantly the initiative matters to every client. 2. We then create a formal ballpark figure and then send it to the client for a review. Based on the client’s preferences, he/she can accept either the figure or fine tune the functionality of the potential app to better match the budget according to their affordability. 3. After an agreement is settled between us, everything becomes crystal clear, the cost for each phase of the development is set up, so a client will be able to see where resources are being partitioned off. 4. The basic programming is assigned to profession coders considering the operating system favored by the client. In the interim of the App Development, our project managers as well as account managers keep touching base with the clients and give them updates at varied phases such as User Interface (UI) design and initial builds. 5. In the meantime, our testers play their role efficiently by testing the app scrupulously to ensure that the app is functioning rightly. After the app development process is over, our project managers get in touch with the client to submit the app to the relevant app stores. 6. Then there is typically a month of free support period where we surface to iron out any potential errors or bugs early users locate exactly. This is how at BroadNet Technologies, the Mobile Application Development process goes on at our end.